Don’t have enough time to make complex cupcakes? Or you just started to learn how to bake? Try this one. 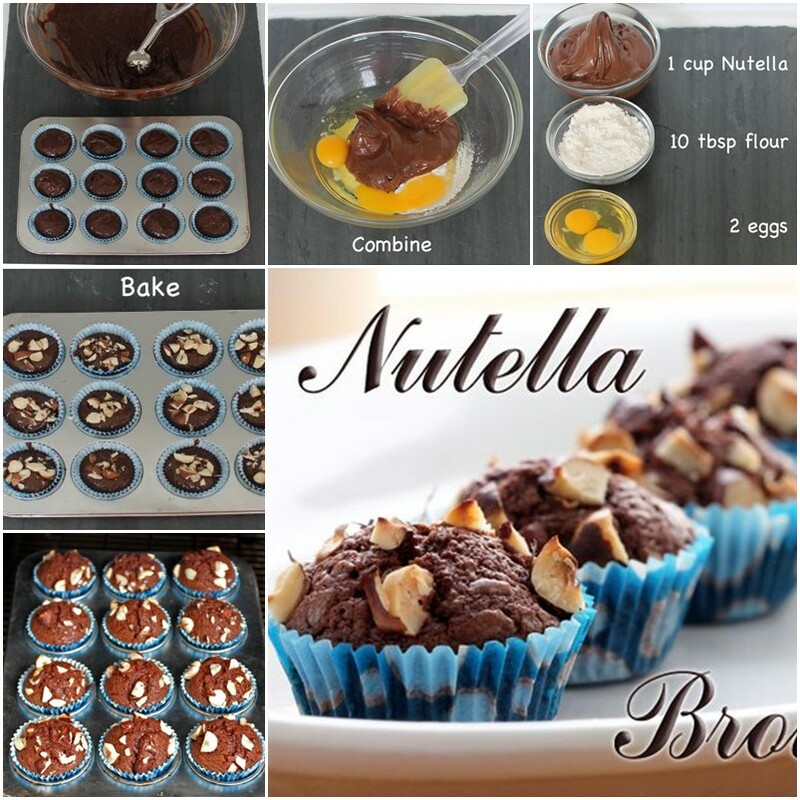 You can make 3 ingredient netlla brownies in just a few steps. Pour into a pan or muffin tin. Top with hazelnuts if you’re feeling extra fancy. Bake at 350F (180C) for around 30 minutes (less time for cupcake form, more time if the centers aren’t baked through).